I was wondering if you could explain me how diaphragm type gauge work. how does a hair spring in a pressure gauge work? on what part of pressure guage depend the range of pressure guage . Pl send answer of above. Since the bourdon tube is a mechanical device, the spring arrangement (i.e. the rack and pinion arrangement) tends to lose accuracy with which it was initially designed. Thus, demands re-calibration from time to time. 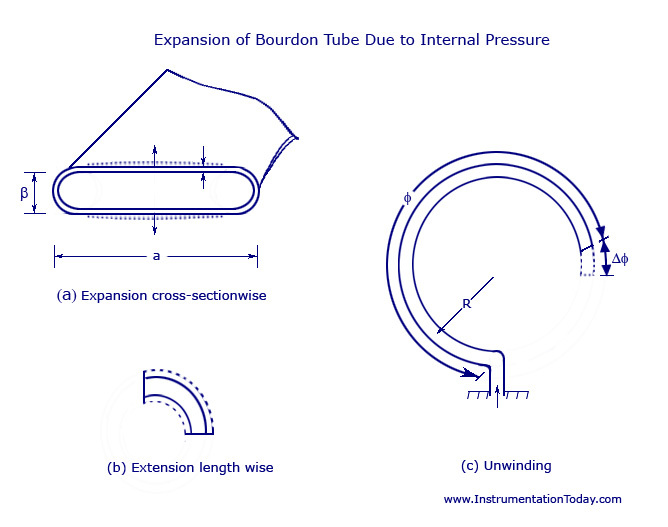 more information about calculation to build a Bourdon Tube according the input pressure. That was a decent effort but I need more on the possible errors incurred. Thanks, but here no explain the helical and spiral type bourden pressure guage.